The Model 25 Zephyr Plasma Cleaner from Evactron is a double vacuum mode cleaner with roughing pump or TMP. 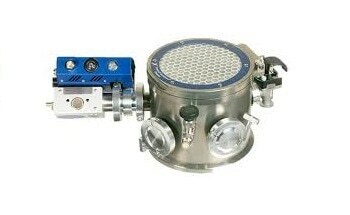 This device is used for in-situ cleaning of specimens and chambers in vacuum chambers and electron microscopes. 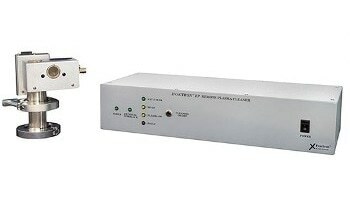 This device consists of RF Plasma Radical Source (PRS), RS232 Computer Interface, solid-state micropirani gauge, table-top controller/RF generator with automatic pressure/RF level control, cables and instructions. 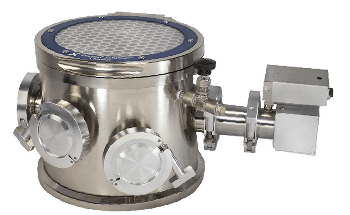 High and low vacuum cleaning enables the chamber to be cleaned at turbo pump pressures and the samples in-situ to be cleaned within minutes at roughing pump pressures. 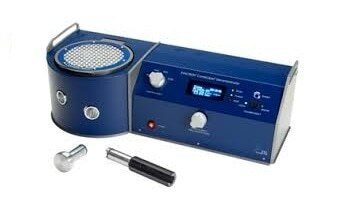 Flexible plasma cleaner system offered with completely modifiable ignition and operating pressures. Initiates on pumpdown and can be safely applied for turbo and diffusion pump systems. 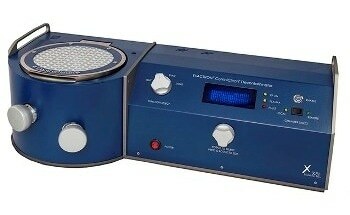 Double action cleaning using both UV afterglow and plasma to desorb adventitious water vapor and hydrocarbons. Non-damaging to sensitive parts - without stripping or sputter etch. Gas source is room air to ensure simplicity and minimal operating cost. 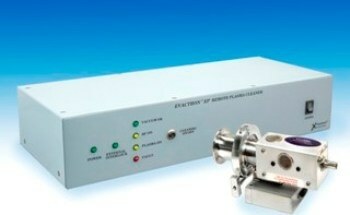 Makes use of energy efficient capacitive coupled plasma (CCP) instead of wasteful inductive coupled plasma (ICP). Stays cool like a CFL (a CCP device) compared to a hot tungsten filament bulb. 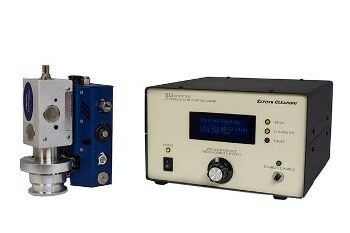 Installation options like the Zephyr can be installed on the vacuum chamber or loadlock.